Fleet vehicle leasing is foundation and sole business of Acme Auto Leasing. For over 30 years we have maintained a position as a respected leader of Government and Institutional fleet leasing. 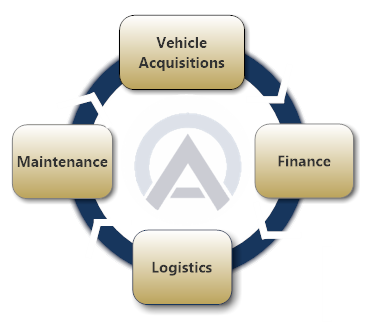 From vehicle acquisition to financing, logistics and maintenance, Acme has forged longstanding vendor relationships that help to ensure the best possible services at the lowest cost available. At Acme, our experienced management team and dedicated staff are driven to meeting and surpassing the expectations of our clients. Having a business partner like Acme Auto Leasing, you will feel secure knowing we are fully committed deliver the highest quality, most cost-effective solutions for you, our customer.